Sleep is important. We need it to rest, to recharge and heal ourselves each night. Quality sleep has become a luxury of sorts, made much easier if the bed you are sleeping in is the right one for you. 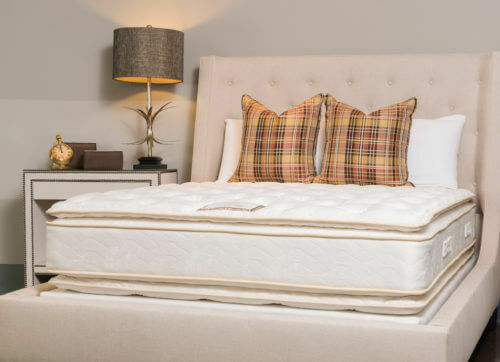 The Holder Mattress Company, located in suite 119 at the Indiana Design Center, has made it their business to make the best, most comfortable bed for their customers for over 70 years. Pride in construction, attention to detail and excellent customer service are the key factors that make Holder Mattress the place to get the finest mattress set, customized to your specifications. All Holder mattresses are made by hand by skilled craftsmen in its Kokomo, Indiana factory. A rarity in the industry, all of the raw materials (foam, thread, springs, etc.) used to make a Holder mattress are made in the USA. Because of this careful sourcing, Holder can control the materials and quality of its mattresses, ensuring the safest and healthiest product. 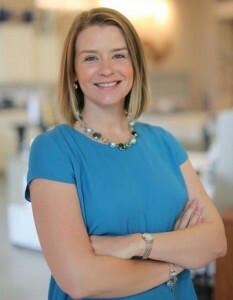 “Natural materials like wool have benefits of being temperature-neutral while upholding industry standards of flame retardancy which are all too often met by using harsh chemicals,” says third-generation president and owner of Holder Mattress, Lauren Taylor. 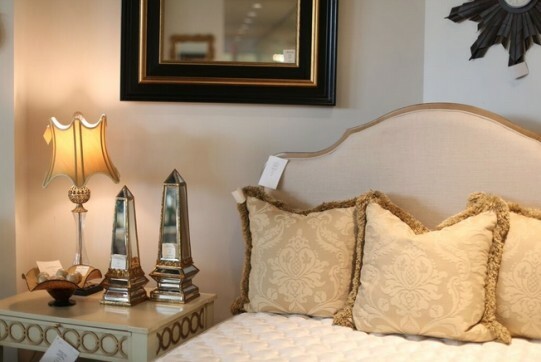 Careful attention to detail, fine craftsmanship and responsible sourcing of products ensure a quality mattress. Each customer that comes in to Holder Mattress works closely with a sales associate to determine what they are looking for and what fits best with their lifestyle. This practical information is the most important part of selecting the right mattress. Key considerations include: Will this bed be in a master bedroom or a guest bedroom? Does the person most often sleeping in this bed have any allergies or medical conditions? How long do you plan to have this mattress? Once the customer’s needs have been determined, the two-sided mattress is made to order, tailored to their way of life, and built to last. Custom mattress shown with headboard, nightstand and accessories, tailored to your specifications, all available at Holder Mattress Co. Beyond the perfect bed, there’s much you can do to achieve good sleep through your daily habits and sleep environment. “Establish a bedtime routine that you look forward to and that promotes healthy sleep. Your pre-sleep mindset and what you eat or drink before bed can really affect your rest,” says Taylor. Also, minimizing exposure to light with room darkening shades and avoiding exposure to blue light often emitted by cell phones or cable units (blue light signals “daytime” to your brain) is helpful. Layered pillows in a variety of fabrics add luxurious comfort. 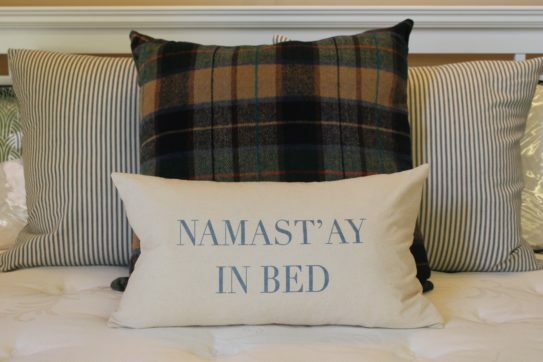 Consistent, restful sleep is an indulgence that is easy to have if you look in the right place. “I want every customer to be a customer for life,” says Taylor.